With the start of summer, there will be lots of chances to travel Up North. Here at Rediscovering Michigan, we are dedicating an entire week's worth of posts to Mackinac Island in honor of summer. One thing that I really missed about Michigan was the celebration of summer and all of the wonderful activities that we try to squeeze in here while we can. 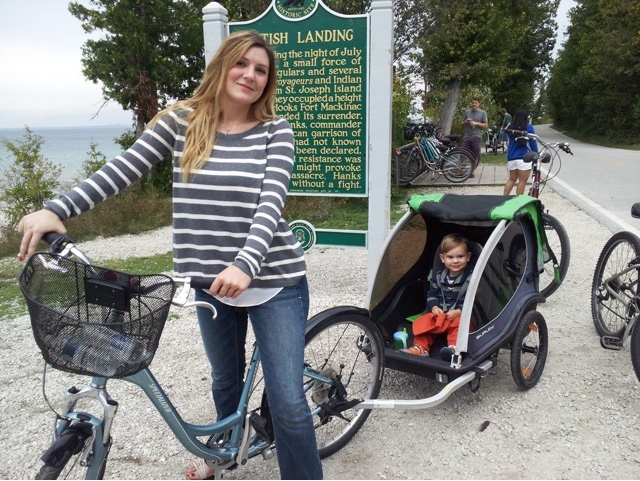 Some of my absolute favorite memories from my childhood are at Mackinac Island. 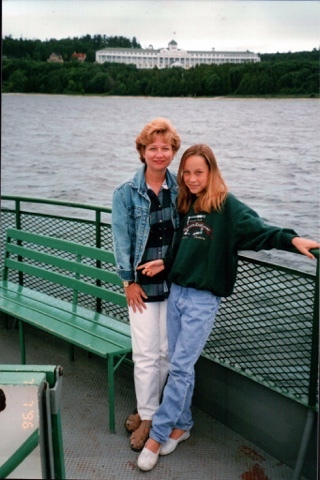 Here is a great throwback picture of my Mom and I on our way to the Island. You can see The Grand behind us. We would usually do the normal tourist thing - walk up and down the main road, get fudge, and ride bikes around the island. The next trick is picking your ferry! 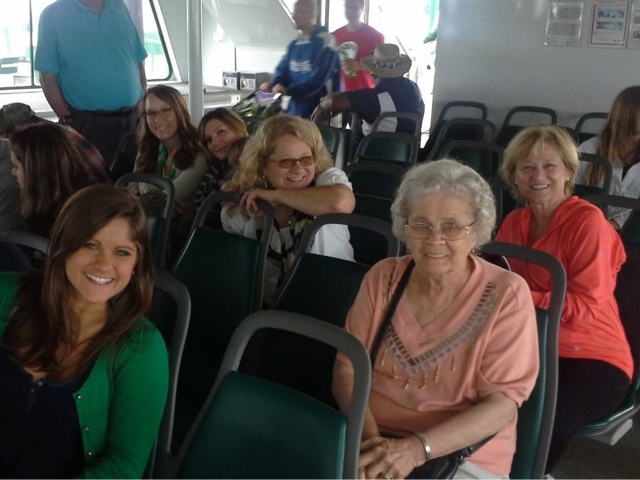 Currently, there are three different ferry lines for your Mackinac Island needs (Shepler's, Star, and Arnold). Check their websites for prices and schedule. This time we took Shepler's. Also, if you are staying on the Island - be sure to coordinate with your hotel or Bed & Breakfast. Many hotels will provide luggage service for you. They pick it up right at the docks, then get it to your room for you so that you don't have to worry about it on the ferry and the busy streets of the Island. They may even have services to pick YOU up from the ferry. Ferries will also currently will tote your bike for much less than renting one. Dogs are welcome and free! Once you get on the island, you will be right on Main Street with the crowds. Here's your basic information: Put your back toward the docks. To the right, you'll see The Fort. To your left is the way to The Grand. There are lots of little shops and fun things to do along the way no matter which way you go. Go one block inland, and there are even more shops. Go past the main strip, and you'll be on your way around the island - about 8 miles. There are many bicycle rental locations right near the boat docks. You can even get baby carriers attached to your bike. 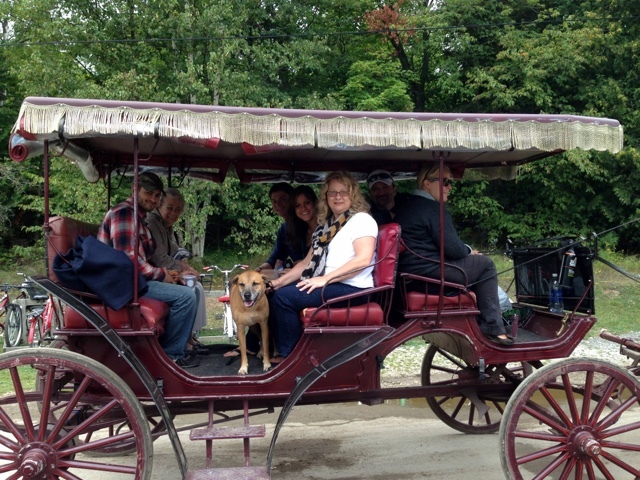 Horse-Drawn Taxis will be there to take you up and down Main Street also. 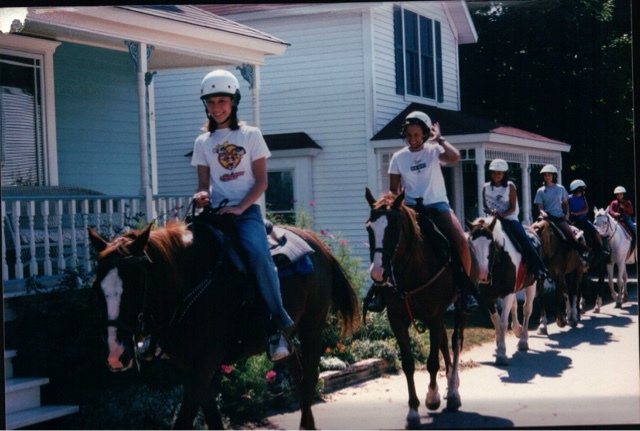 As for horseback riding, you'll want to find Cindy's Riding Stable on Main St. near the boat docks. You can do guided or individual riding based on your experience level. Check out Jack's Livery Stable in order to drive your own horse-drawn carriage (they are located up toward The Grand, just start walking that way). The best mode of transportation on the Island is a good pair of shoes, so come prepared!